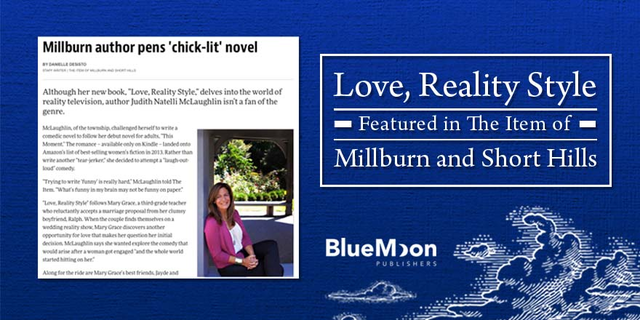 Blue Moon Publishers and Judith Natelli McLaughlin are very pleased to see a feature on this local author and her new women’s fiction release Love, Reality Style in The Item of Millburn and Short Hills! The publication features local authors, and was excited to shine a spotlight on this brand new release. The Item of Millburn and Short Hills recently published an article about Love, Reality Style and its relationship with both the “chick lit” and reality television genres. For an interesting insight into this new novel, read the feature for yourself! Did you catch this article in The Item of Millburn and Short Hills?